I had a feeling Chris Paul had a lil cowboy in him when he dressed up for Go Texan Day, but then he was spotted wearing Levi's. 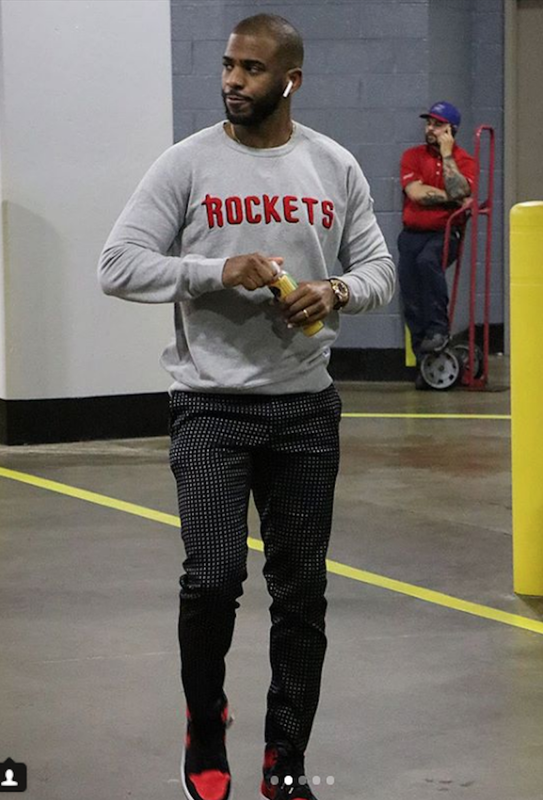 Before taking on the Washington Wizards, Chris Paul sports a Levi's crewneck sweatshirt with our embroidered team name. The Rocket's player gets the team spirit award from me!